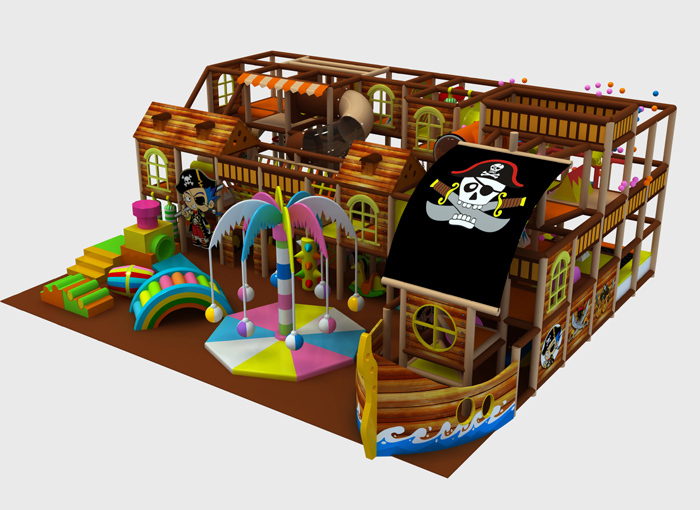 This pirate ship themed indoor baby jungle gym in brown color, kids climbing up from the head of ship or inside the play structures to second floor. 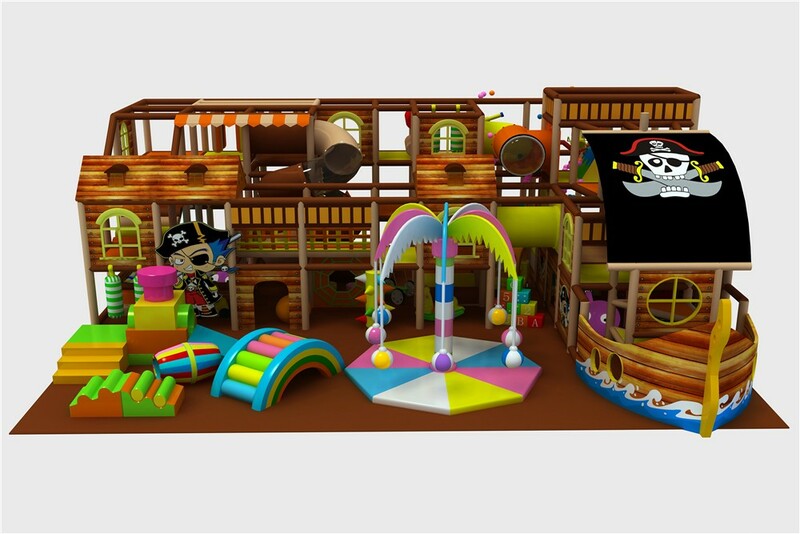 on second floor have bridge and obstacle, then go level three by stair on left corn, on level three kids can play shooting game or slide down from spiral slide to ground level, which have soft play equipment, kids carousal, ball pit and trampoline. 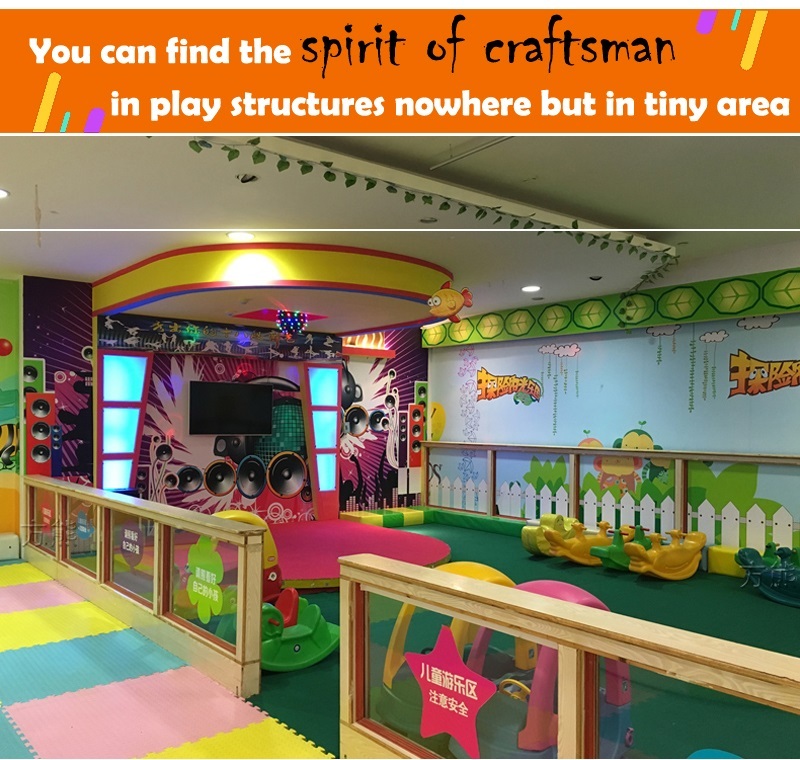 Obviously, it is an indispensable ability to be good at socializing for today's children, they need not only learn to how to be independent in today's world, but also need to learn how to get on well with others. 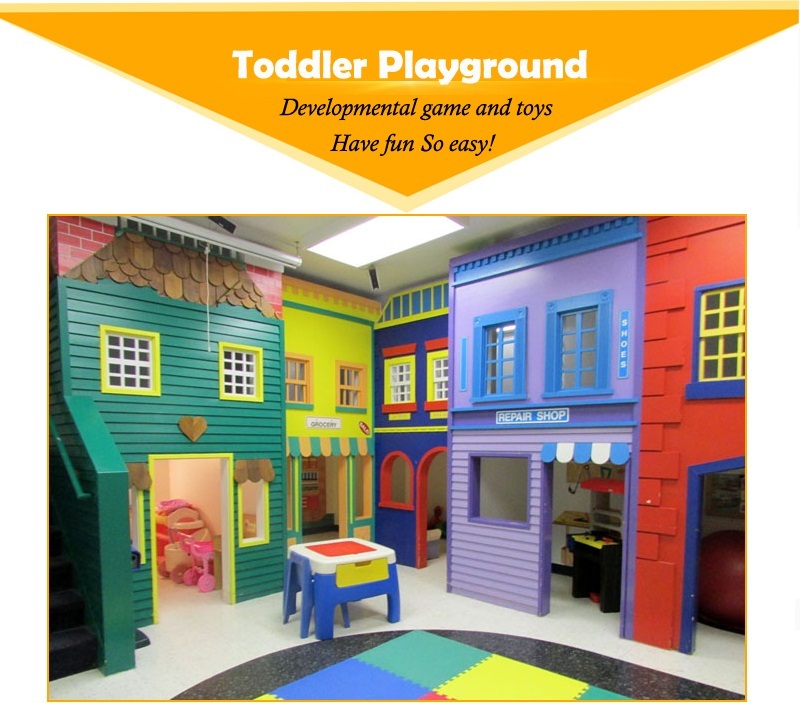 Learning, of course, is another important part of children's growth, or rather, a vital task throughout a person's life. However, important as the two things are, kids can't always strike a balance between learning and socializing. Some may good at socializing but not good good at learning; while some do well in socializing but fail to get achievement in socializing. We must find a solution that can help us solve the problem. 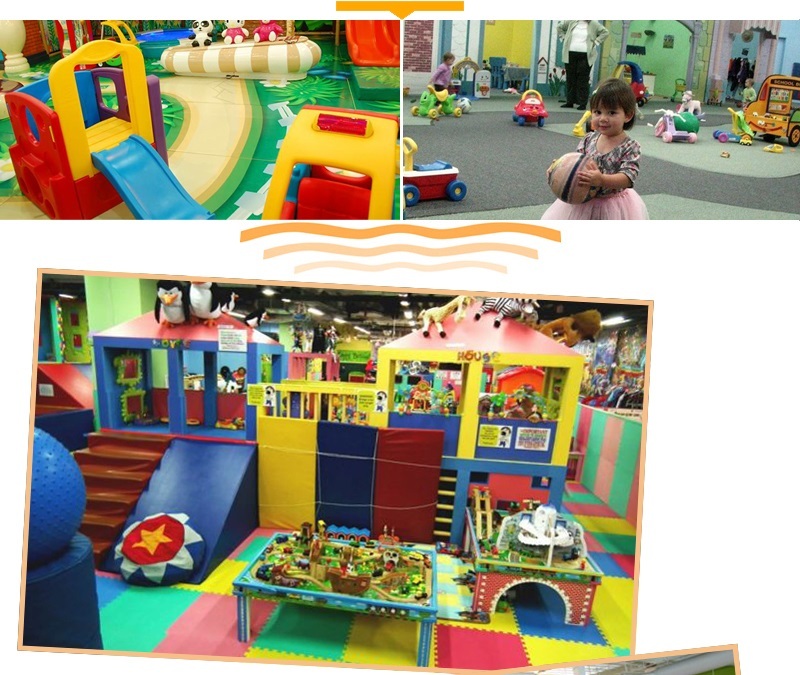 Indoor playground, I believe, works better than school in training children's ability in both learning and socializing. On the one hand, it is very common to see that parents or adults pay much of their attention to children's learning, thus ignoring their performance in socializing. It is traditional virtue that kids should tell their parents about their whereabouts when they are leaving home. However, kids today not only turn a cold face to their parents at home, but also ignoring the basic politeness to respect their parents. Such kids, no matter how good they are in learning, will seldom make any achievement when they grow up for they can never get along with people around them. 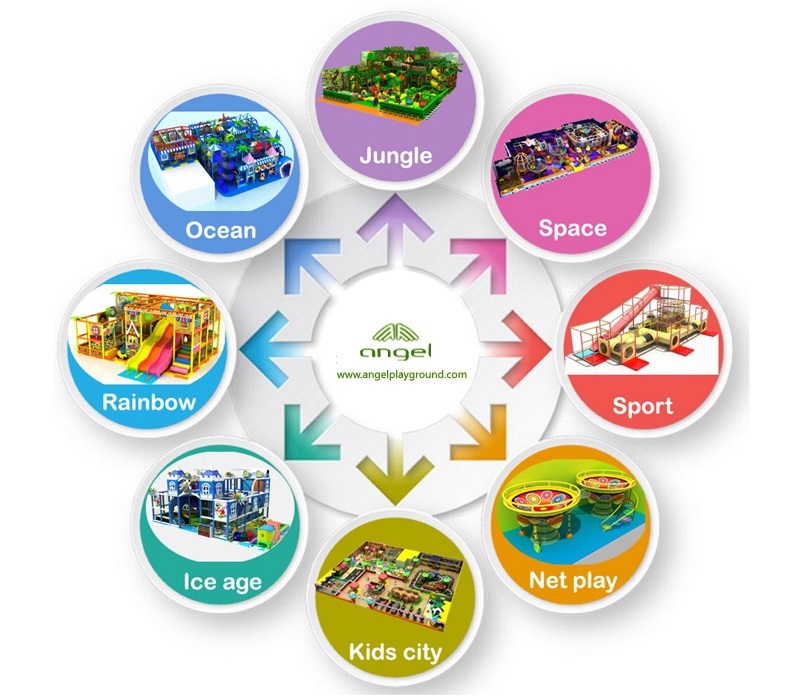 Therefore, it is urgent to send them to the indoor playground to have them learn how to get on well with others and how to be friendly for others in a rather relaxing environment. On the other hand, children who spend too much time playing or even get a bifurcated to it can not do well in concentrating in their study. 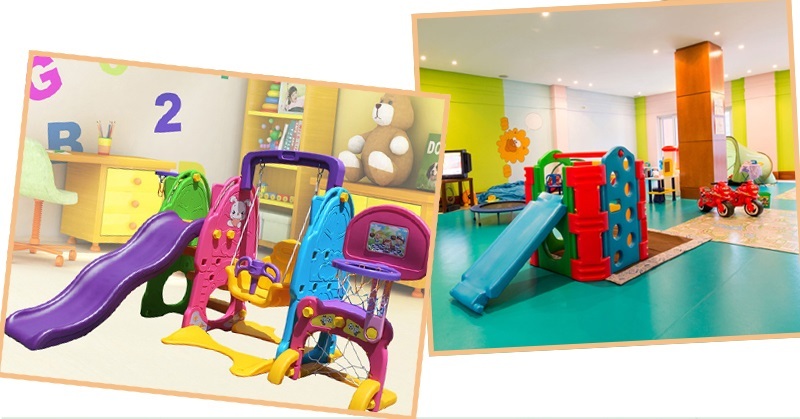 Their body are accustomed to remaining active and whenever they sit down, they mind would go far away from the classroom and textbooks to the indoor playground or other places for fun. For these over active children, learning and socializing or two things that are fixed at either end of a long bridge that can not be combined together. Facing this kind of problem, parents will no doubt feel very worried. But there is always a way out. 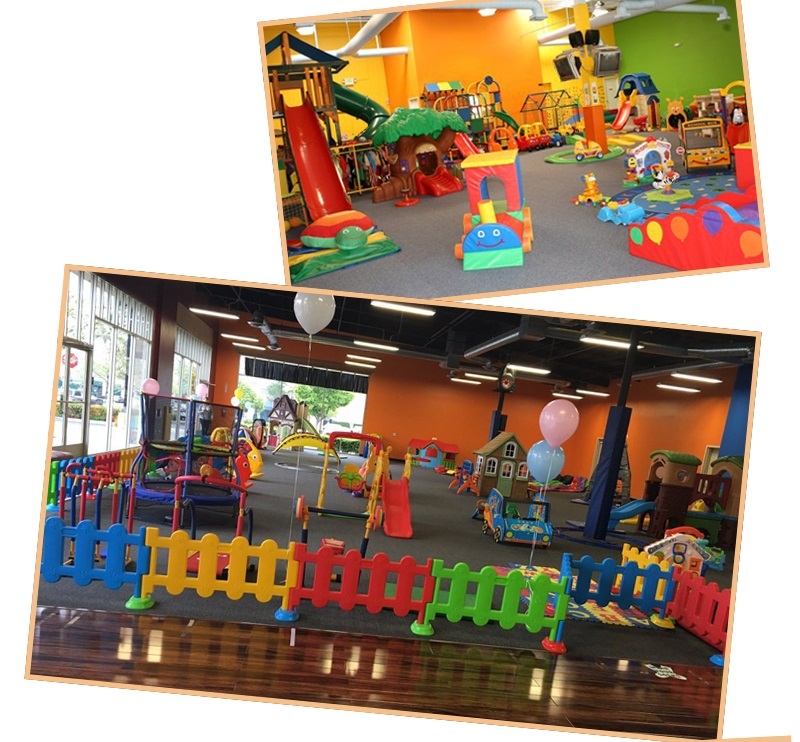 Why not send your kids to the indoor playground to learn, it is a place where learning and socializing are two aspects of a whole thing. 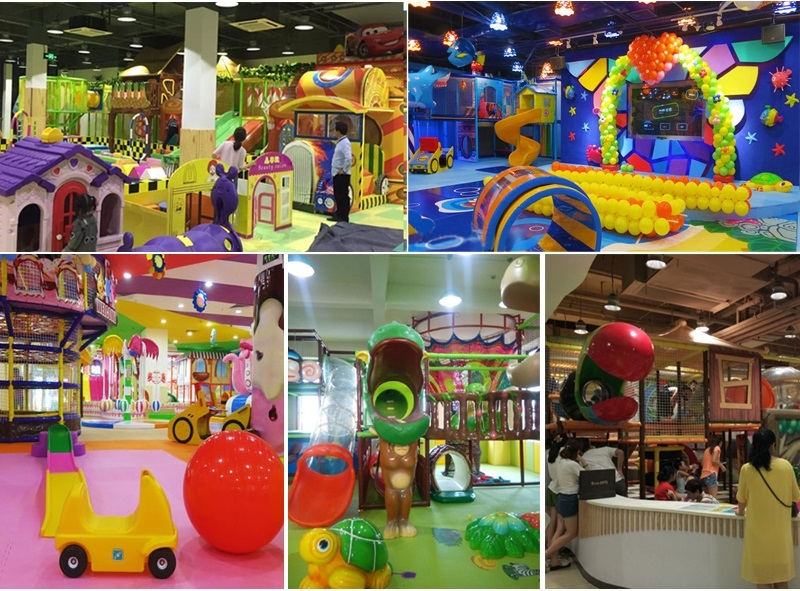 In conclusion, both socializing and learning play a vital role in children's growth, lacking either of them will lead to unbalanced development of children's whole life. Therefore, the earlier parents realize the importance of indoor playground, the more benefit your kids will gain.